I can’t believe it’s the end of my first trimester already. My 12 week scan goes really well. As the doctor rolled the ultrasound wand over my belly, I could see all the bones in the baby’s legs, the form of the arms and roundness of the body. The images were so clear. I was really amazed. They chatted on about how they like to place bets based on their combined 30+ years of experience. They excitedly moved in on the screen, and started mumbling about the angle of the pelvis versus the size of the something, and the width and length of the something else. 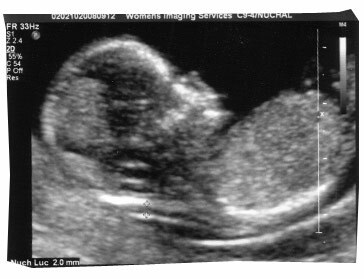 So I left the scan, not caring at all whether the baby was a boy or girl – but deeply reassured that the baby was healthy, strong and growing well.